Converted to one person operation and diverted at Sutton to Morden instead of Tooting - also withdrawn in Lower Kingswood between Rookery Way and "Mint Arms" which was at junction of Buckland Road and Stubbs Lane. Mon-Sat withdrawn between Belmont and Lower Kingswood - replaced by extended 280. Mon-Sat Route converted to double deck operation. Sunday Route withdrawn between Belmont and Lower Kingswood. 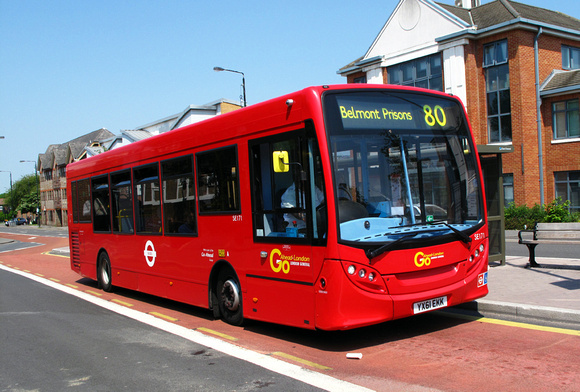 Mon-Fri journeys extended from Sutton to Belmont. 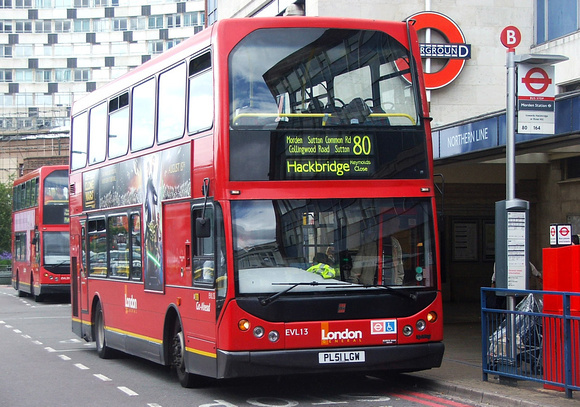 Daily Route extended from Morden to Putney Bridge via Route 93. Withdrawn between Morden and Putney but extended from Belmont to Banstead Village Mon-Sat except evenings. Converted to MCW Metrobus operation. HACKBRIDGE Reynolds Close - Green Wrythe Lane - St Helier - Morden - Sutton Common Road - Collingwood Road - Sutton - Brighton Road - BELMONT Highdown Prison. 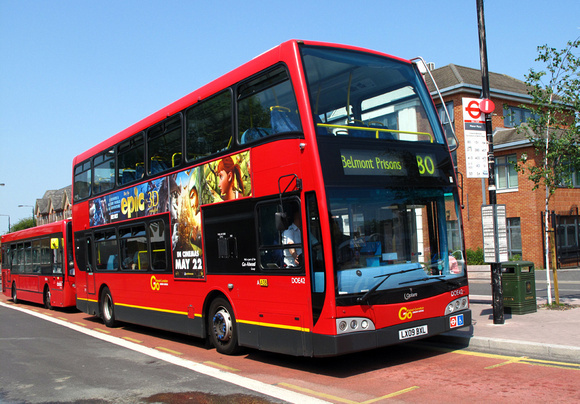 Converted to low floor single deck operation - and extended from Morden to Hackbridge replacing withdrawn Route 393 - but withdrawn between Belmont and Banstead - this section now served by Route S1. New Quality Incentive Contract ( an enhanced TG contract with higher standards of reliability) Extendable from 5 to 7 years dependent on good performance.